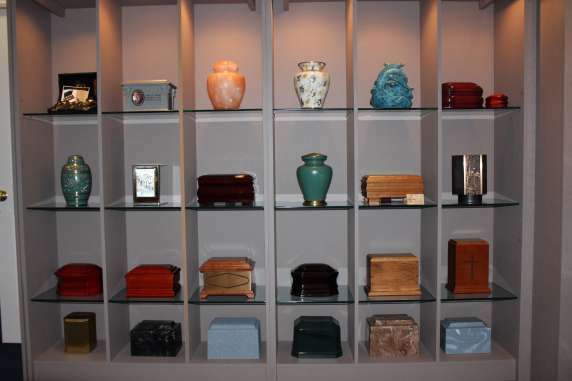 We offer a wide range of cremation urns and containers. 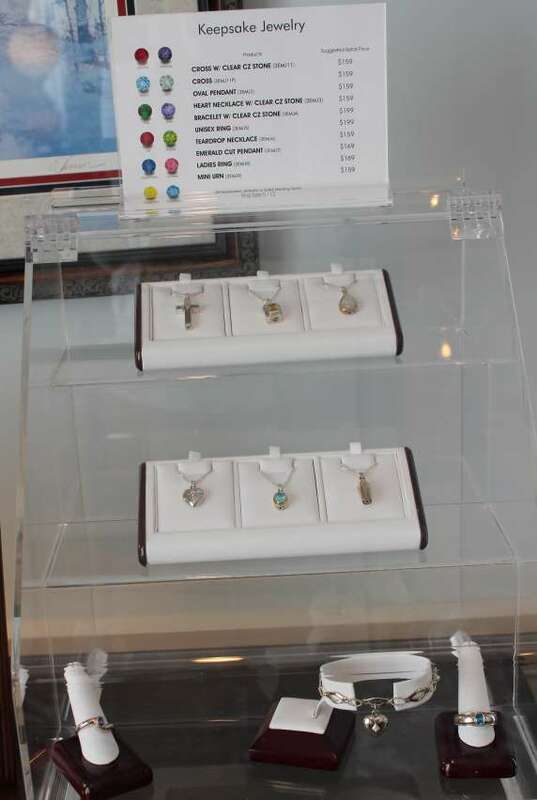 We also offer keepsake jewelry that you can personalize to fit your wishes. There are many different options and prices, so please stop in to see our displays.